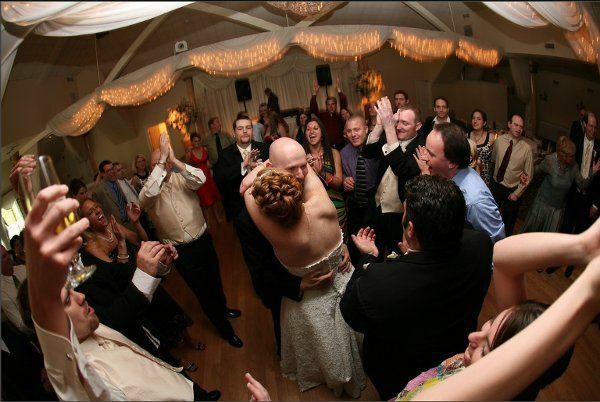 Gorham Productions is a professional entertainment company that specializes in individual attention. We work with our clients as much as it takes to ensure that each event matches the clients’ initial vision of it. I would like to extend the utmost thanks and appreciation for the great job you did at our wedding. 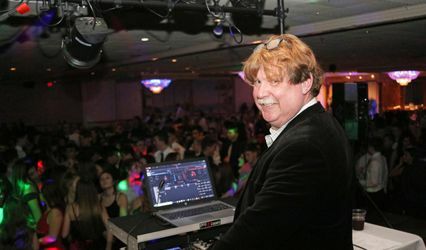 Having worked as the bartender at many functions, I have seen some of the best and worst DJ's in Boston. You, by far, exceeded them all. 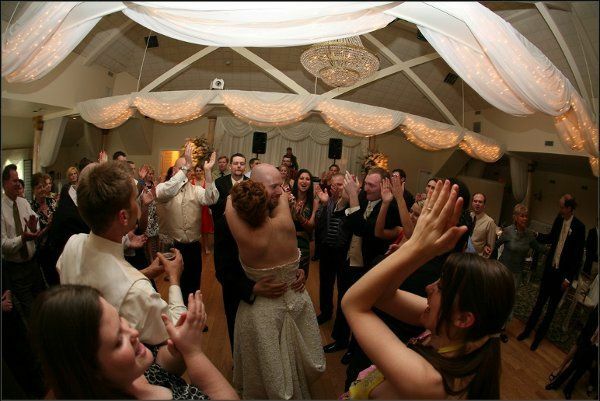 You had my entire wedding dancing the entire night (which almost never happens). 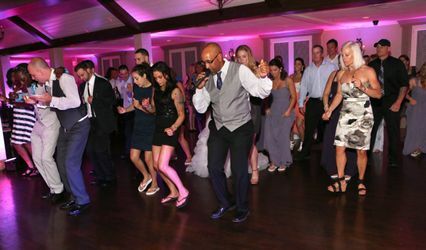 I have been told by many of my friends that it was "the best and most fun wedding" they have ever gone to and "that DJ was awesome". You did everything we asked and more! If I can ever be of service to you, or if any of your customers would ever like a reference, please put us at the top of your list. 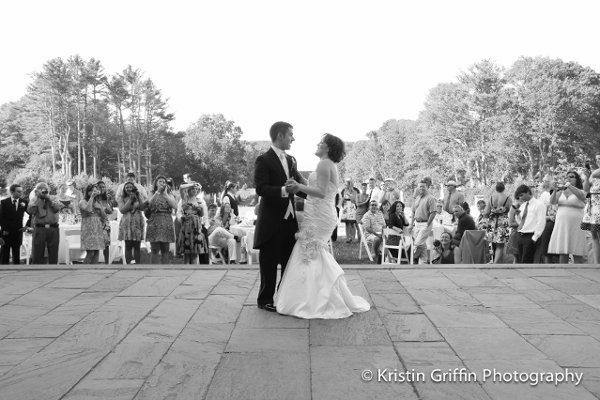 Thanks again for making our wedding a fantastic experience. I just wanted to say THANK YOU again for such a wonderful wedding! That dance floor was rocking!!!!! You were awesome!!!! We had such a good time!!! Although I could hardly walk the next day....we danced all night! My husband and I will recommend you personally to ALL of our friends back east! You were the BEST!!!! Please send me a business card if you can...I mean it about recommending you...I have a HUGE family (83 immediate family members on my dad’s side) and would love to give them your info! Mr. & Mrs. Damon T.
Just want to thank you for Friday night! You were great and I think everyone had a really good time. My friend, Ameera, said she wished you had DJ'd her wedding instead of the guy she had. She thought you were fantastic. You were! Thanks again and I'll probably see you on the 4th. Dan's absolutely awesome! 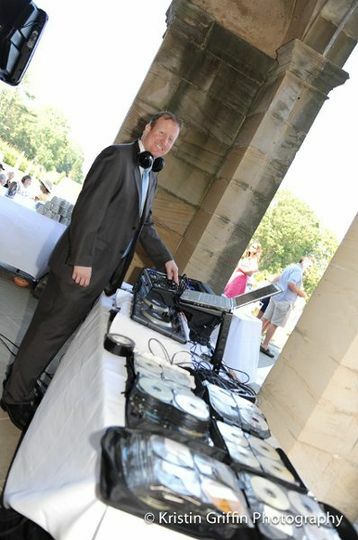 We got married recently (July 2011) and Dan DJ'd for us, providing the music for everything from the ceremony itself up through the last dance. I gave him a fairly detailed set list and he was able to find every single song and chose great, similar tracks to fill in the gaps where needed. Everyone commented on how great the music was, so I can't recommend Dan enough. Perhaps most importantly, Dan won't pressure you into picking songs you don't really like. You really can't go wrong trusting your event in his hands! 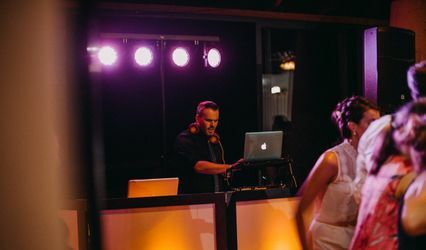 You were the DJ at my wedding last September, and we all loved your performance and I had to recommend your services for my best friend’s wedding this coming September. I hope you are available on this day, because I want her wedding to be the BEST and you’re the man for the job! THANK you for doing such a GREAT GREAT JOB! You played the best music and dealt so well with a drunken 40-year old. Thank you so much for everything. You were great! You made our first party such a big hit! I am looking forward to next year! Thanks again for last night. You were great as always the music played a big part in the night. I hope you got home safe. I will be sure to pass your name along to others. 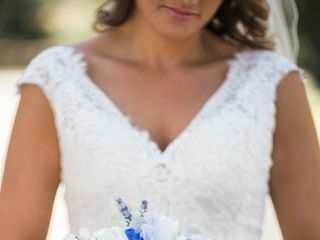 I am glad to hear my chances are looking good for the wedding, you really did a great job at Jamie's! Thank you so much for making our wedding day a success. The music was perfect. 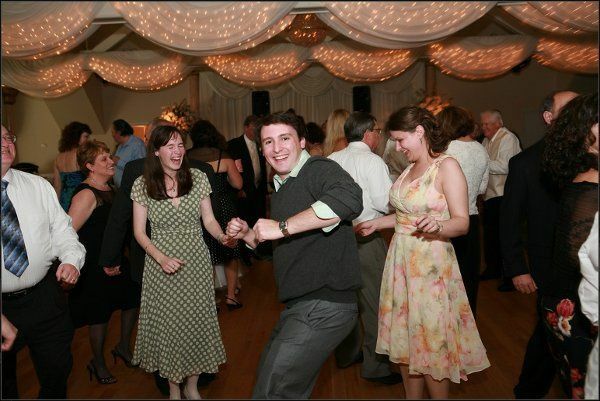 Our families are still talking about how much fun it was to dance all night to great songs. I was very pleased with the way everything was handled. The DJ, Dan Gorham, did a great job. The kids had a fantastic time! I will definitely recommend you in the future! You were AWESOME! Thanks for all of your wonderful and hard work on our behalf. Dan, thank you for all your help, and a great job! Thank you for a wonderful evening! Everyone had a blast! Hope to do have you DJ for us again in the near future! God Bless! Thank You Dan. It really was a pleasure to have such a pro behind the board. Great job!! Thanks for doubling as a sound tech too! That music was PERFECT!! The 70's stuff was awesome. All of the songs you played were great. I wanted to Thank you for doing such a great job. I hope you had enough to eat and drink. I got so involved with the music and singing that I forgot to start the steak tips, hotdogs, and hamburgers (Sorry), I slacked off on my hostess skills. I am having a Tiki party next year and if you are available for whatever day I choose I'll send you of an email. Again, Thanks you so much and I'll stay in touch when something comes up. I hope you had a nice time. Hey Dan, thank YOU! Everyone had a great time and I will be definitely referring people to you. Thanks Dan and will get back to you with the answers in the other email later tonight! Look forward to having you be the DJ again b/c you were awesome!! Oh my god! You were so awesome! What a great party, thanks to you. Thank you so much. My Mom said lots of people were impressed with your musical selections. I'm so glad we hired you! I'll definitely keep you in mind for future events. Hope you had fun too. We hope to see you soon, and make you just as happy! Gorham Productions and Dan Gorham have hosted hundreds of events all around New England (and beyond), in many different locations. Some of the places we’ve worked include . . .
Countless banquet halls such as Elks Club, VFW, Knights of Columbus, Irish American Club, American Legion, Sons of Italy, Italian-American Citizens Club, etc.
. . . and countless private residences!
. . . and, of course, hundreds of private parties and weddings. We hope very much to add you to the ever-growing list. Hope to see you soon! 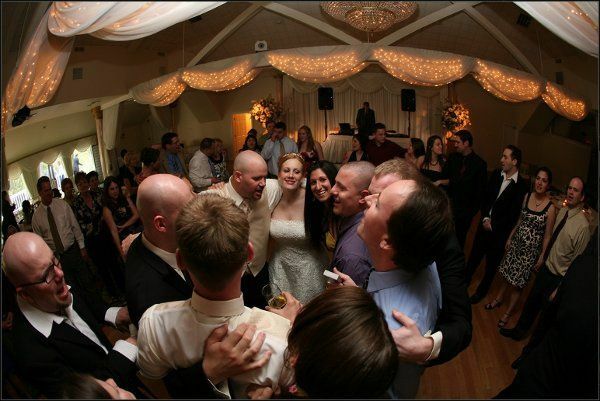 11 Reviews for Gorham Productions, Inc.
Dan is the best DJ around. He takes the time to customize every aspect of music that you need. If you want him to think of it all, he can do that too. 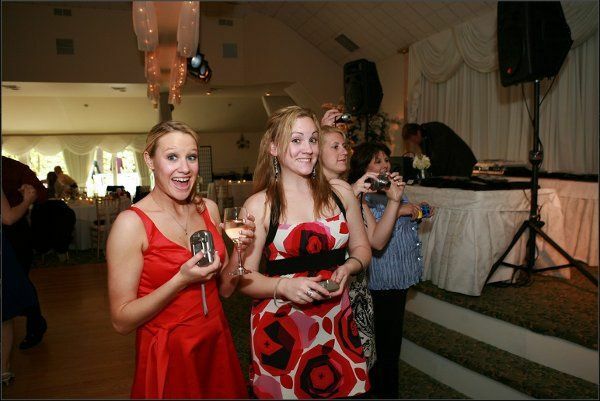 I was a very hands-on bride, wanting very specific music for certain things. He made sure to play everything at the right time and it was all perfect. 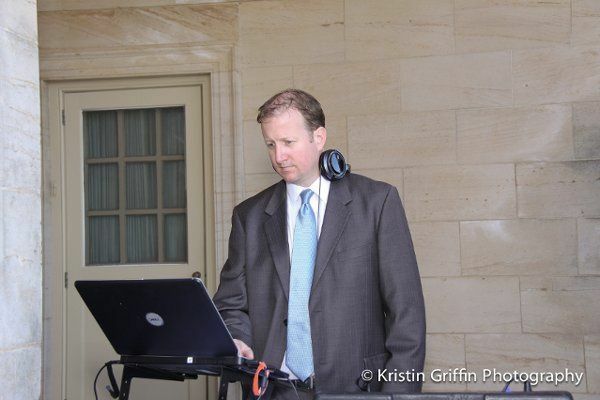 Dan was the DJ at my wedding and he is A+, the best DJ around! 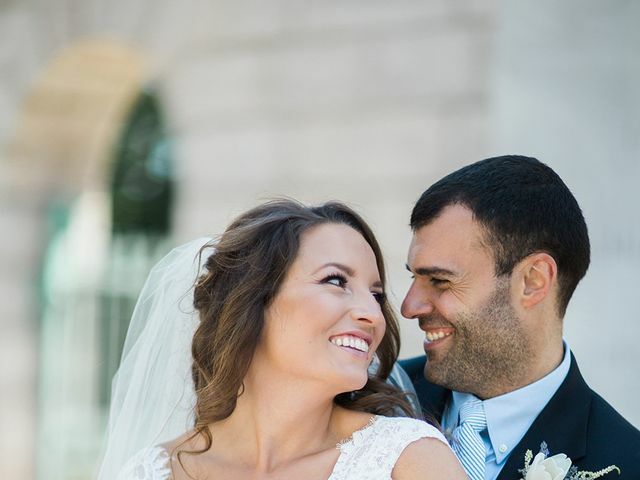 I highly recommend working with Dan as he is both professional, but nice and laid back and makes the wedding planning experience very fun and easy. 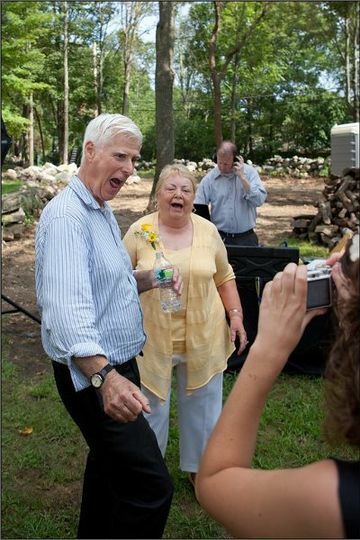 This guy knows what he is doing and knows how to make weddings a good time! All of our wedding guests asked for his contact information after our wedding and just today my wife's friend asked for his info so they could contact him about DJing their event; so I just realized I never gave him the great review he deserves! Thank you for everything, Dan! Dan was so accommodating and professional.... There is no words to describe that. He went an extra mile and had all wires and connections set up and ready to go for me (videographer) to record sound for the wedding video. When you are in a hurry to set up three cameras after you just did bridal preps and ceremony is about to start little thing like this is most thoughtful and priceless! He asked me in advance what kind of MP3 recorder I was going to use. As little as I knew he needed it so he could make sure I was all set to record the best possible sound for our couple... He had so many mics around for the ceremony. It was so impressive. Everything was as smooth as you can dream about for the outdoor out of nowhere (park on the ocean). It is so nice to have a great team to work with... Leaves you more time to be creative and at your best for the couple! Thank you, Dan, so so MUCH!!!!!! !